The dark story of life after marriage. It is the real fact that Life changes completely after marriage. Marriage marks a beautiful creation of god, where the amalgamation of two souls, who are truly, intensely and deeply in love with each other. And with marriage, here comes drastic changes in the lives and life style of those couples. After all they have to live together forever as they knot themselves in each other. 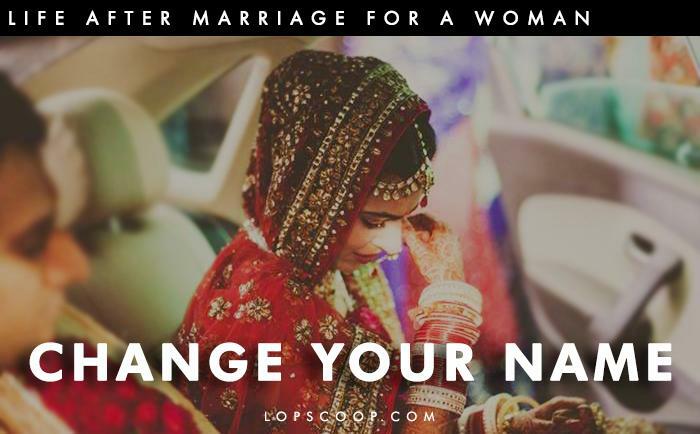 Since a woman has to leave her parents to stay with her husband and his family, the changes come in her life after marriage is absolutely bigger than a man experiences. Life completely changes because you are no more “YOU” and you are no more belonged to your family and your dreams no more rest with you. Your main concerns change suddenly. Now it’s time to think about others as your in-laws become your prior responsibility. You can’t do anything according to you. Now you are not remaining free soul. Sometimes it is very hard to understand the circumstances. Every girl has an identity she calls with her name only and she doesn’t want to change. Her name amends with Mrs. And now she becomes...Mrs. Husband’s surname as she completely lost her personality. Sometimes It becomes little difficult to accept and it is not good as how her name sounds at present. 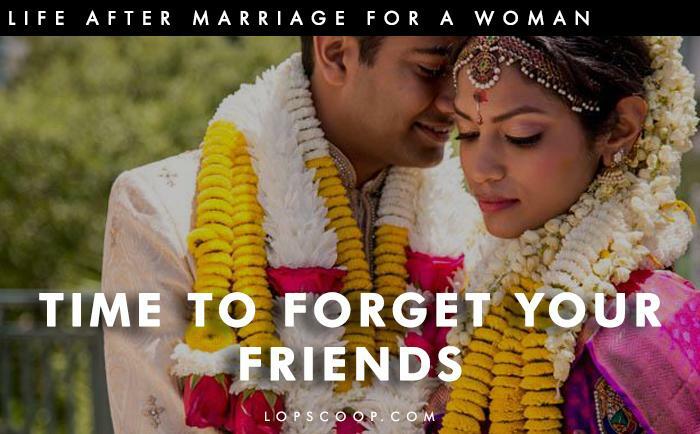 Before marriage, all girls have almost 24 hours for themselves .they can easily take time for their friends, family and work they do as what they like. They spend their time where they want and to pursue personal interest. But life takes a tough move after marriage a girl doesn’t even a time to think about such part of her life. In short, No time for herself. 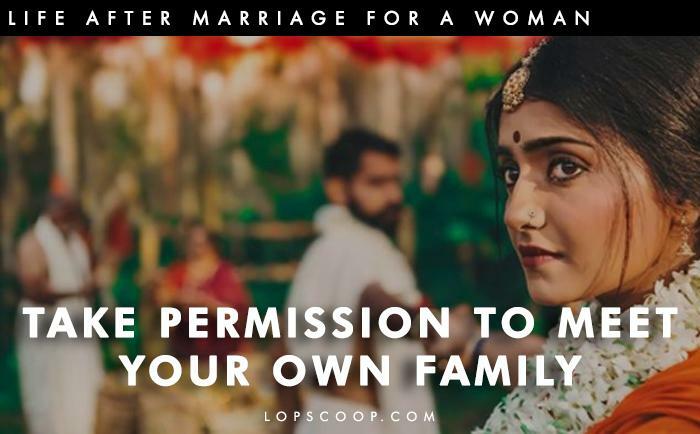 Every girl suffers from this situation where one needs to get permission from one’s husband or in-laws to meet one’s own family and to stay with them where she spent imperative years of her life. 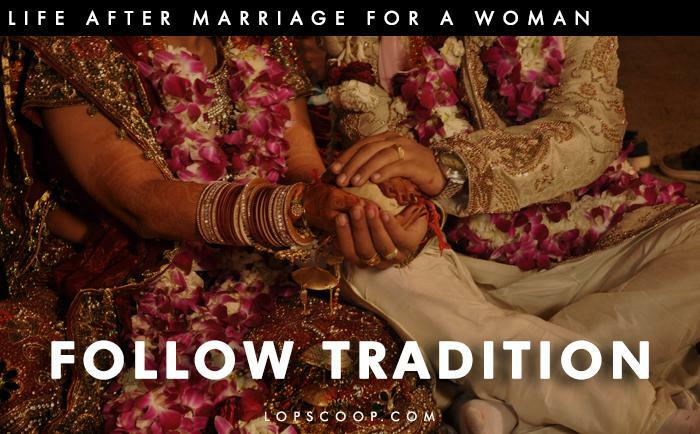 The traditional Indian man tends to be domineering because of his nature most girls connect marriage with a failure of total self-determination. Going on a retreat with your friends or stay for long with them and sometime these kinds of demands become the reason of argument and somewhere these arguments disturb married life. .We Indian are expected to follow a procedure where –Get married, Have babies, Give best bringing , Provide good education along with all facilities, take care of our children’s need, save money for their bright future and so on . What if we don’t want babies? What if we it’s not under our choice, nothing, but we have to deal with our nosy society and relatives. But why? Just because you are girl and you have to follow all tradition according to your in-laws. It is not an easy task, in spite of this you compel to do.